NESS – which has offices in Elgin, Aberdeen and Dundee – supports over 6,000 people in the North-east who have sight or hearing loss. The charity helps those with a sensory impairment to overcome the practical and emotional effects of serious sight and/or hearing loss, as well as guiding them to achieve more independence. Event organisers hope that the launch of the walk will encourage people of all ages and abilities to get involved with the sporting event, especially those who are unable to participate in both the bike rides. 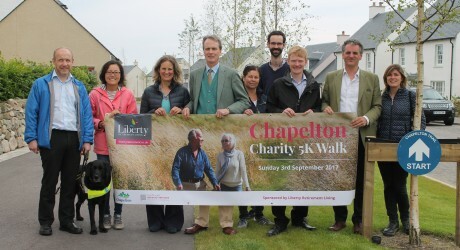 Starting and finishing in Chapelton, the 5K route will take participants around the picturesque Aberdeenshire countryside surrounding Chapelton and Elsick. Registration costs £15 per person for the 42-mile route, £5 per person for the 12-mile route, or £15 for a team of four for the 12-mile cycle. The 5K walk is free to enter, but all participants must register via the website.